Photographs of Perth at sunrise from the 23rd to the 30th of September 2016. 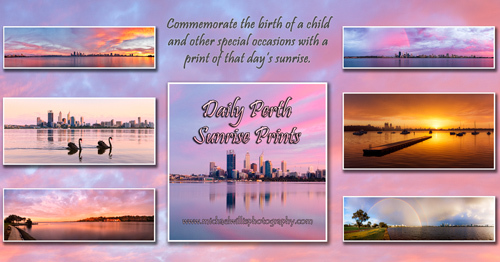 Please note that due to unavoidable circumstances, sunrise prints for the rest of September 2016 are not available. After clicking on the thumbnails below, a new window will open showing the image at my pbase.com galleries.